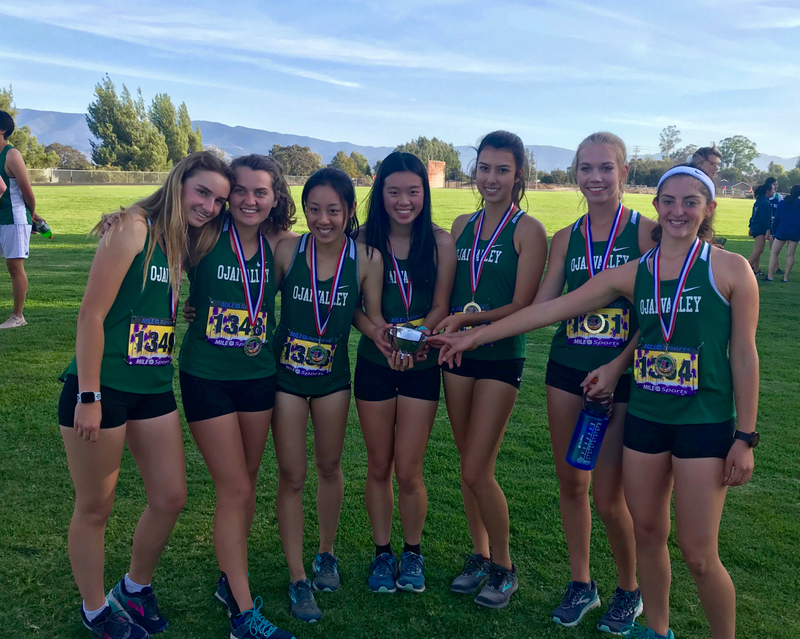 November 1 – For the second time in the past four years, the OVS girls’ cross country team has been crowned Condor League champion, putting together a dominating performance at Wednesday’s final league meet. After a long season of hard work, the OVS girls demonstrated their toughness on the flat, fast Dunn School course, earning seven of the top ten places at the league final. 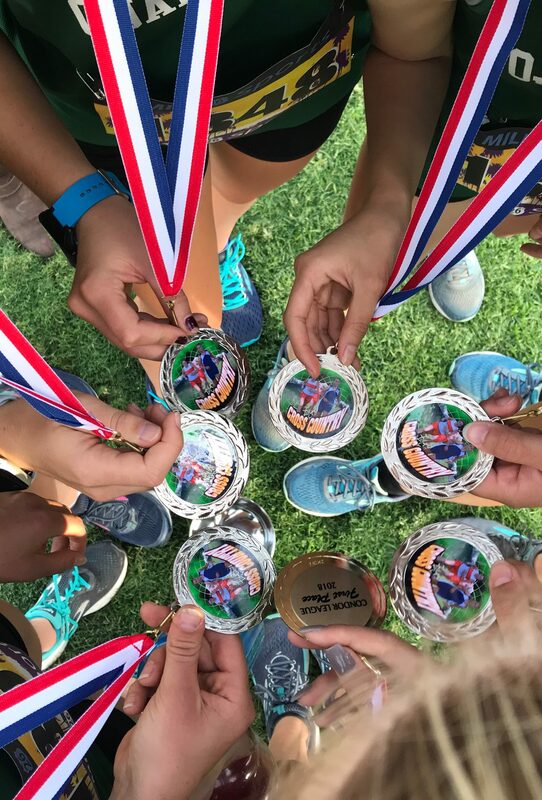 Each of the girls took home a Top 10 medal, and the team finished first overall, qualifying for CIF preliminaries for the second year in a row. Freshman Paige Muller ran her best race of the season. She led the three-mile race from start to finish, setting a new personal record of 23:19 and finishing in first place overall, earning a gold medal and the title of Condor League champion. Paige is the fourth Condor League champion from Ojai Valley School in the past eight years. She was followed by teammates Bella Slosberg, Avery Colborn, Caspian Ellis, Angela Qu, Jolene Fan and Stephany Nostrant. The boys also rounded off their season with incredibly strong performances, with junior Corbin Muller finishing first for OVS, and 13th overall, with a time of 20:18. He was followed by sophomore Ethan Gao, freshman Danny Wang, sophomore Bob Chen and junior Sebastian Wayman-Dalo. As the boys now transition into the winter sports season, the girls have one more week of training before they compete in Riverside at CIF Southern Section preliminaries on November 10.